It was another guessing game for my friends of ‘Kudos Kitchen By Renee’ over on facebook. I was only going to give one clue and no more because I wanted to make the game as hard as possible. I’d decided that the winner (if there was one), was going to win the tile as my way of saying thank you for playing along. Above is the photo clue. What would you have guessed? Here are some of the guesses I received: A twitter bird, Huckleberry Hound, Papa Smurf, Gumby, Blues Clues, Lost of Muppet Characters and Avatar. They’re all extremely good (and give me future ideas for tiles) but they’re not quite correct. Even though in the beginning I had said I wasn’t going to give additional clues, after a time I relented and gave away two verbal clues that set off a light bulb moment for one of the players. My additional clues were: “It’s a fictional character” and “Has a tail”. Pretty lame clues I’ll admit, but it was just enough for somebody to guess correctly and win. 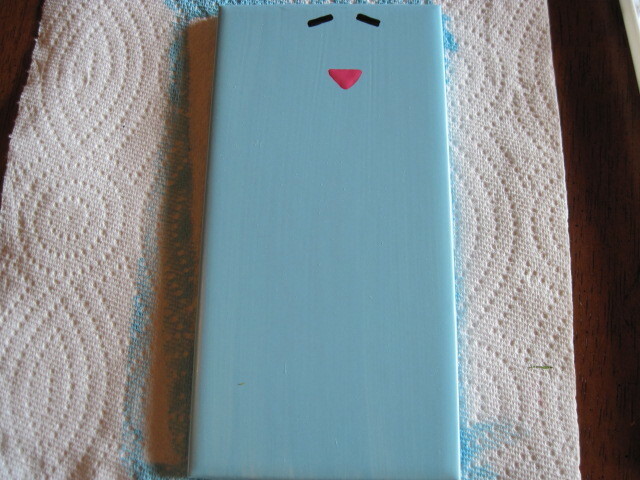 I’ll share with you the remainder of the painting process and you’ll see it revealed right away. 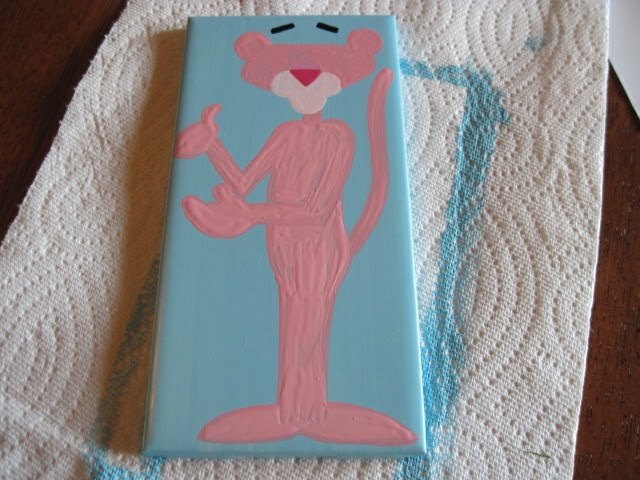 I knew the minute I started adding more detail and paint color, it would be a dead give away. And of course the completed tile with a message for the winner. 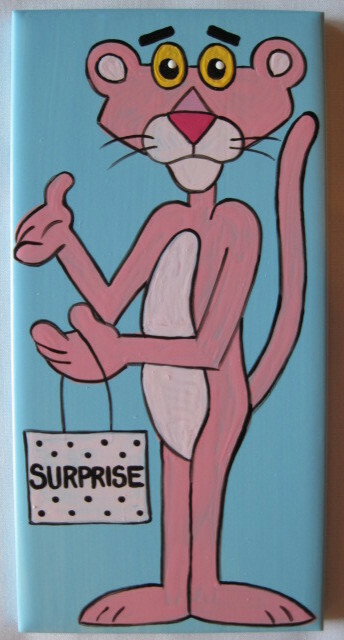 Congratulations to Beth of VA for her correct guess of “The Pink Panther”. 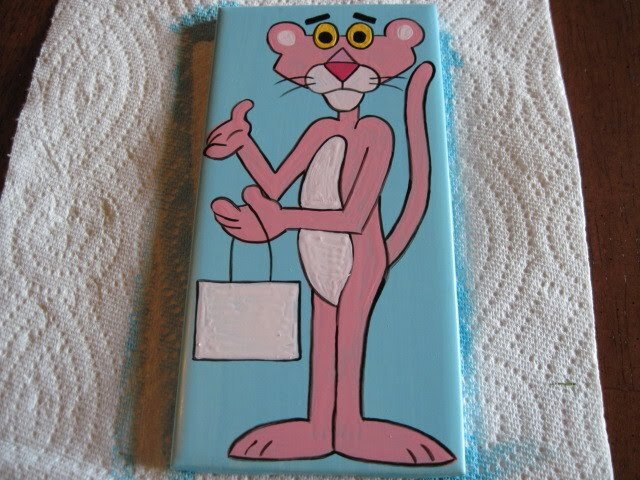 Beth requested a magnet backing on her tile so I can only imagine this will be a working tile in her kitchen as well as something fun to display. Thanks for playing along every one. I hope you’ll come back and play with me again soon. A Custom Magnet For A "Tidy Mom"